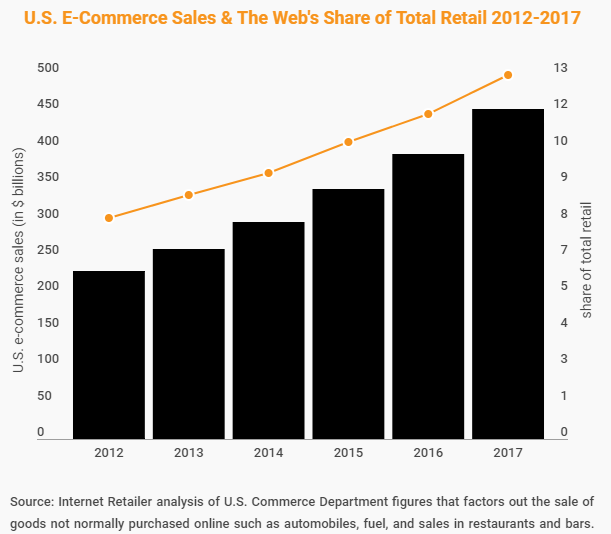 In just the final quarter of 2017, consumers spent nearly $100 billion dollars — just in the retail e-commerce market. No wonder you want to learn how to increase online sales. You want a chunk of that $100 billion pie. U.S. e-commerce sales aren’t stagnant, either. They continue to grow year over year. Clearly, there are customers who want to spend money online. So, how do you increase online sales for your own business? I’ve worked with all kinds of companies — major retail, SaaS, service businesses, and more — and I’ve learned a few things about how to increase online sales fast. Growth is not always consistent. Even if consumers are spending more money online, they’re not necessarily spending more money with your business. 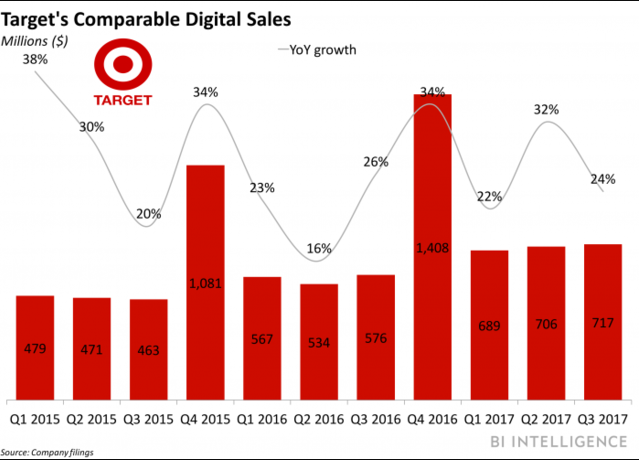 Even an industry giant like Target sees huge peaks and valleys. If you want more peaks than valleys, you have to pay attention to research and data. It also demands that you focus on the needs of your customers over the needs of your business. That’s why I give away tons of free content. It’s not because I have nothing else to do with my time. I give away content because it establishes my brand, spreads brand awareness, gains trust, and builds relationships with potential customers. Plus, it encourages reciprocity. If I’m generous with my time and knowledge, customers often become generous with their cash. They want me to help them achieve the same results I’ve gotten from my strategies. When I give away free content, I’m connecting with people who really want to hear what I’m saying. Let’s look at some of the best ways to increase online sales. If you don’t believe that trust matters in business, consider the number of companies that have experienced huge financial losses subsequent to data breaches. The average data breach costs a company about $3.6 million. The same goes for any breach of trust. 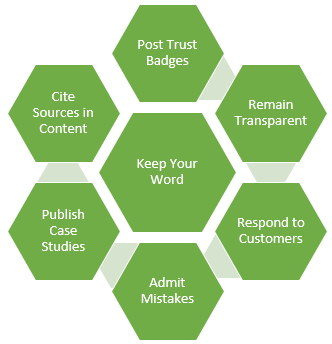 When you break promises to your customers, provide false information, or fail to publish credible content, you lose trust. How do you build trust? There are a few best practices to follow. Keep your word: Don’t make promises you can’t keep. Post trust badges: Use SSL certificate badges and similar signs of trust. Remain transparent: Provide insights into your company’s inner workings. Respond to customers: Answer help requests and customer support questions. Admit mistakes: Don’t try to cover things up. Tell people how you’ll fix it. Publish case studies: Show how you’ve achieved great things. Cite sources in content: Give credit where it’s due. Focus on these best practices to forge trust between you and your customers. You might see your revenue climb as a result. 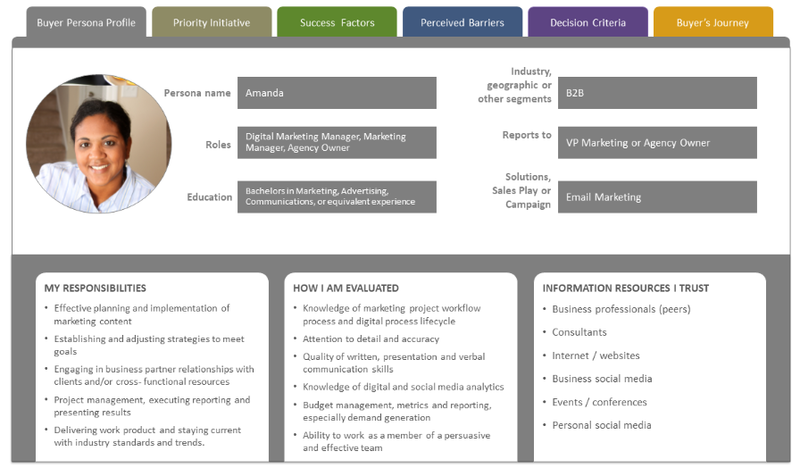 Have you created a buyer persona yet? If not, it’s time to start. A buyer persona identifies a target consumer based on demographics, income, likes, dislikes, and other personal details. The more information you include in a buyer persona, the better, because you can target your audience more accurately. For instance, if you know that your target customer is a single mother with between one and three children, you can speak directly to her through marketing and advertising. The content begins to feel more personal. Figuring out how to increase online sales requires understanding exactly what your target market needs and wants. Let’s say that you sell cooking utensils. A single mom might have many pain points in the kitchen, such as a lack of room for storage. If you have smaller tools built for smaller kitchens, or combination tools that take up less space, you could easily market to that buyer persona. Product photos are great, especially if they’re professionally shot. However, product videos can encourage customers to put even more merchandise in their virtual baskets. You don’t have to create a video for every product you sell. You could focus on your one or two bestsellers. Additionally, depending on whether you’re a product- or service-oriented business, you could create explainer, demo, how-to, or testimonial videos. According to Switch Video, you shouldn’t just confine your videos to your website or YouTube. In fact, incorporating video in emails can drive click-through rates up by as much as 300 percent, and 70 percent of marketers who responded to one survey cited video as the number-one factor attributed to increased conversions. You don’t need movie-production-quality equipment. In fact, you can create a product video using nothing more than a white sheet as a backdrop and your smartphone’s camera. However, if you want better quality, you can find a local studio in which to record. You can also find video editors on sites like Fiverr who can perfect your video at a low price. Live chat allows your customers to converse directly with you or a chat bot. Either way, they can ask pressing questions about your products or services and get answers in real time. 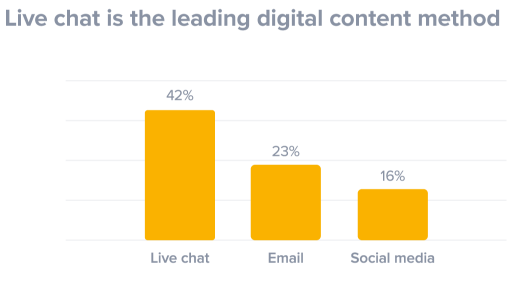 When it comes to customer preference, live chat leads the field. A J.D. Power survey revealed that consumers overwhelmingly prefer live chat over email and social media communication. If you offer live chat with trained professionals behind the screens, your business can nurture customers as if they were talking over the phone. 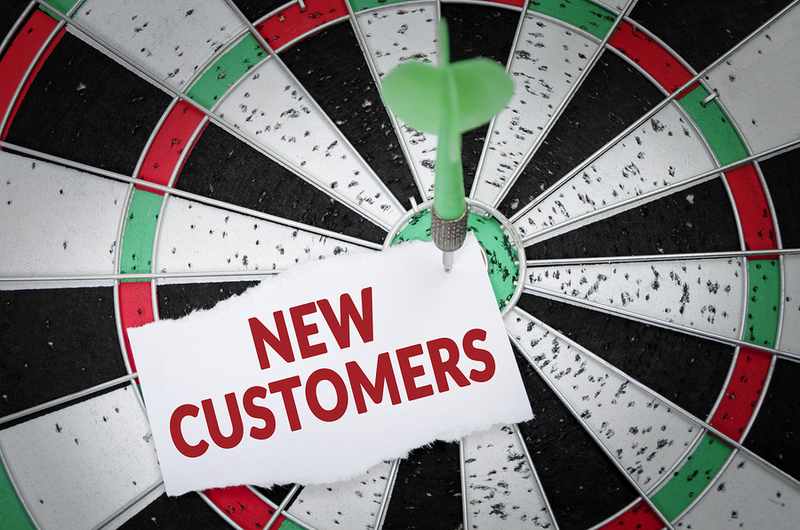 Each interaction becomes an opportunity to convert the customer. Satisfaction guaranteed — it’s not just a power ballad. Many online businesses use guarantees to help generate more sales. Land’s End, a major online retailer, names its satisfaction guarantee as one of its core values. That’s how important the guarantee is to how the company does business. When you guarantee your product or service, you eliminate at least part of the risk in purchasing the item. Your customer doesn’t have to worry about common objections, such as whether or not they’ll like it or if it will hold up. However, it goes further than than. First, a guarantee sends the strong message that you stand behind your product or service. You’re willing to guarantee it because you believe in its efficacy. Second, customers often don’t return products even if they’re dissatisfied. It takes time and effort to box up a product, buy a shipping label, arrange for the return, and check the Visa bill for the chargeback. Even if someone does return the product, you’ve created goodwill. 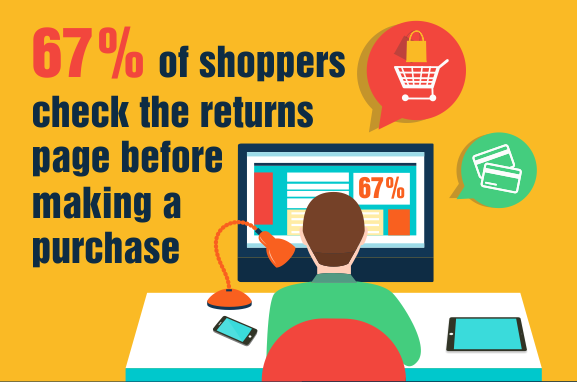 And besides, nearly 70 percent of consumers won’t buy a product before looking at the returns page. If you have a guarantee, you’ll generate immediate trust. In the video below, I share three insider tips to help you offer a money-back guarantee without having to process tons of returns. User experience (UX) defines how people experience your website regardless of the pages they visit. It can include aspects like navigation, page layout, mobile responsiveness, and form design. If you can’t afford a good UX developer, you can improve your website’s user experience on your own. Start by running heat maps and scroll maps through Crazy Egg. They’ll identify the parts of your website where people are most likely to engage. You can make decisions about call-to-action placement, content length, sidebar inclusion, and navigation placement, among many other things. When you understand how people interpret and interact with your site, you can make more informed decisions. When a customer gets to the checkout page, you don’t want anything to get in his or her way. If the customer gets distracted, irritated, or confused, you might lose a sale. 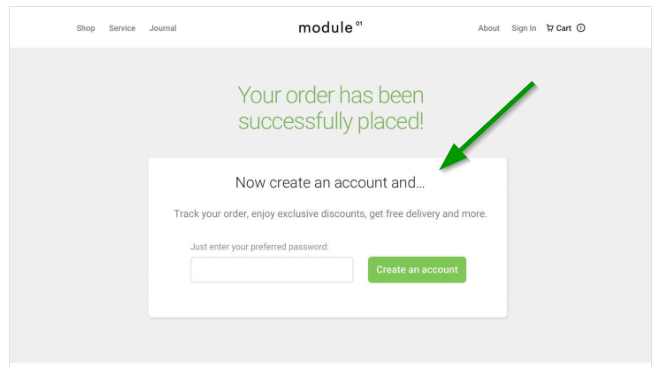 He suggests picking a better time to suggest creating an account, using Module as an example. Wait until after the sale, then invite the customer to create an account. Other elements of friction can include navigation menus, sidebars, and extraneous calls to action. If you require too many form fields, your customers might click away because they simply don’t have time to fill out every one of them. According to Baymard, the average form-field total for checkout pages is 14.88, which is two times more than necessary. Author Christian Holst says, “a fully optimized checkout flow can be as short as 7 form fields.” See if you can’t eliminate a few fields on your checkout form. Streamline your checkout pages to reduce friction and distraction. If the page works without a particular element, remove it so the user stays focused on buying what he or she wants. Marketers often stuff their emails full of advertising-type content, links to blog posts, and information about upcoming sales. That’s all fine and good, but adding unique content and value to your email marketing strategy might be better. I recently received a marketing email from The Mission. It included a section with entirely new content that many subscribers would find valuable. There’s a link to a longer article on the topic, but the content here is almost entirely original. It stands alone as valuable information. Consider writing unique content for your email marketing campaign instead of regurgitating old content. You can mix it up, but if you occasionally share something that’s meant only for your subscribers, you might drum up more sales. Educational content isn’t the only way to provide value. 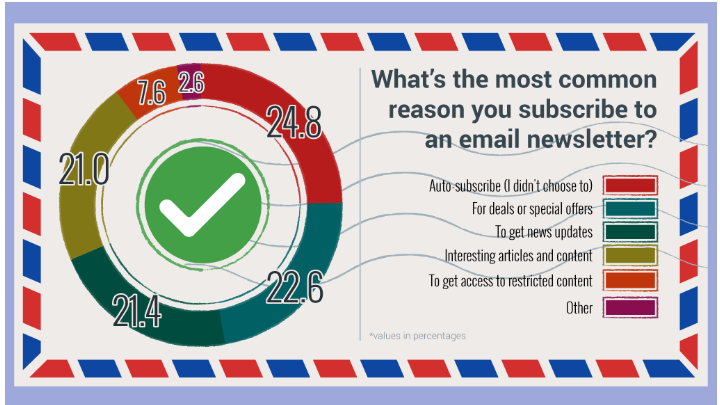 According to the most recent research I could find, about 23 percent of consumers subscribe to email newsletters so they can get deals. Don’t be stingy with discounts, free trials, coupon codes, and offers of free shipping. Even if you only offer them once a month, you’ll likely see an uptick in sales. Engagement is one of the most important metrics to track when it comes to online marketing. Your engagement is the amount of interaction you get from your subscribers, followers, and fans. It’s easy to track engagement on social media channels. 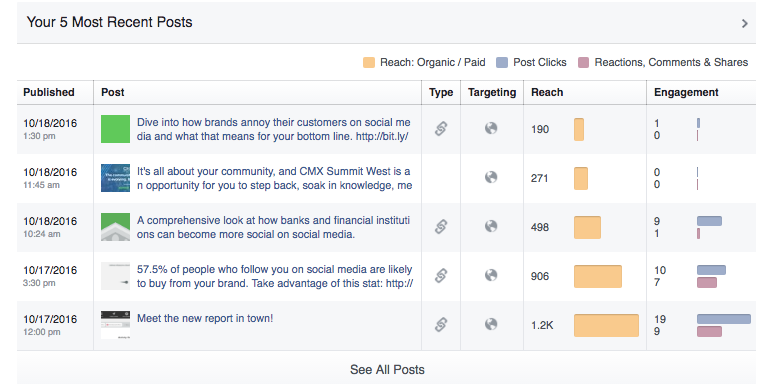 Facebook Insights, for instance, will let you track engagement by post. While tracking your followers’ engagement with you matters, so does your engagement with others. How often do you comment on blogs in your industry? When people leave comments on your Facebook posts, do you respond? Simply answering, “Thanks, glad you enjoyed it,” to a comment that praises your latest blog post can spawn conversions. People know you appreciate them, so they become fans. Eventually, they might become customers. If you provide a positive experience, you’ll generate more online sales. I know that you’d love to learn how to increase online sales overnight, but although you can hasten the process with some of these tips, you also have to look at the long-haul view. When you collect accurate data, you can make better decisions for your business’s future. Using Crazy Egg, you can take advantage of our suite of reporting tools that allow you to analyze many aspects of your website, including UX. 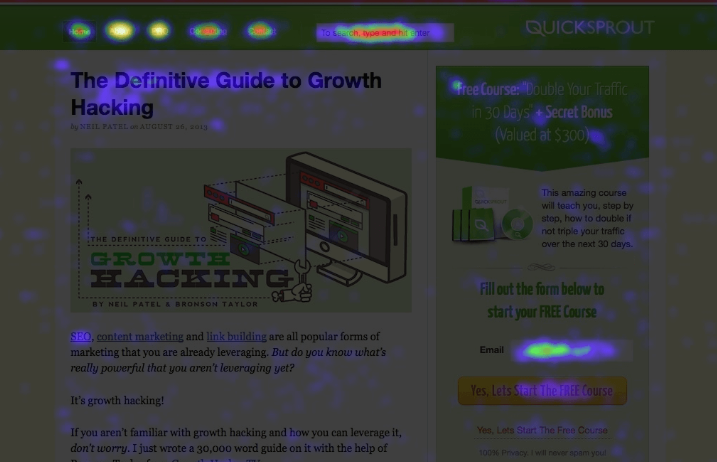 Heat maps, for instance, will tell you where a customer clicked on a link, such as a CTA. You’ll also see where visitors stopped scrolling. Using this information, you can deduce the reasoning behind specific visitor behaviors. 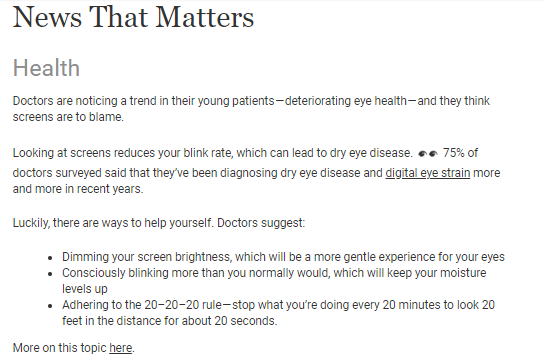 If most users only scroll down half the page, maybe they’re bored by the content, or perhaps they prefer shorter content. Once you’ve come to conclusions about user behavior, conduct A/B tests. Create two versions of a landing page, for instance, and change one element. It might be the positioning or the content of the CTA. When the A/B test is finished, set up another test. You’re testing just one variable at a time so you can perfect every aspect of the page. Figuring out how to increase online sales is simply a matter of getting to know your audience and building rapport with them. If you have a great product or service and you provide commendable customer service, you can boost your sales. I’ve provided you with several great techniques with which to grow your sales. Create and post product videos, use live chat, offer a guarantee, and make sure your website’s user experience is as smooth and frictionless as possible. It also helps to nurture your email list by providing unique incentives. Test popups to see how they impact your conversion levels, and respond to your followers any time they reach out to you. Most importantly, collect and analyze as much data as possible. Create heatmaps, scroll maps, and confetti maps with Crazy Egg. Figure out how website visitors behave on your site so you know where to put the most important information, such as calls to action. After you’ve run your tests and compiled the data, make changes based on what you’ve learned. You can then create two versions of each page and A/B test their elements one by one. A/B testing only works when you have data to back up your decisions in the first place. If you’re consistent with these techniques, you can increase online sales right away. Posted in adwords, SEOTagged external sourceBookmark the permalink.